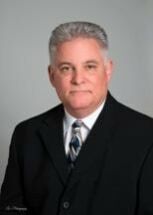 Mr. Fox has over 25 years experience in real estate transactions, both commercial and residential. He has represented Home Owner associations and homeowners in litigation and served as an HOA Board member for several years. He is an active member of both the California and Virginia Bars, and a licensed settlement Attorney. Commercial Real Estate: Mr. Fox has over 13 years experience in commercial real estate, having handled more than 3,000 commercial real estate transactions for multinational corporations such as Exxon Mobil Corporation. He has been responsible for handling due diligence matters such as feasibility, zoning, environmental studies, governmental planning, and title issues for both acquisition and disposition of commercial property and leasing. In his practice he has acquired the ability to assist clients in all stages of either acquisition or disposition such as the need for full title research, and ALTA surveys. He has been responsible for examining all county and state regulations in connection with the feasibility of the client's ultimate goals. Mr. Fox has handled many collateral matters such as negotiation of easements or vacation of easements between owners and utility companies as well as temporary construction easements for abutting properties. His service to the client will range from negotiating the final contract to the examination and management of the closing. His expertise in negotiating commercial leases was most recently evident in the lease of a local restaurant property in which the ultimate result was to limit the effect of personal guarantees, ensure an early termination clause, reduce the proportion of CAM charges, eliminate ‘administration' costs and eliminate additional insurance premiums. HOA/Condominium Association Law: Mr. Fox has represented both homeowner associations and homeowners in lawsuits concerning violations of HOA rules and regulations. He has served on Association Boards for more than 8 years and has counseled Boards of Directors on their legal rights and obligations. IP and Trademark/Licensing: Mr. Fox has been practicing trademark law since 1993 and has intellectual property clients from Hawaii to Connecticut and has successfully prevailed before the United States Patent & Trademark Appeals Board. In addition to his trademark experience he also has extensive experience in intellectual property transfer and licensing joint ventures between international oil companies and patent pool analyses in the context of large scale mergers before the U.S. Department of Justice. Title Insurance and Settlement Expertise: Mr. Fox has acted as counsel to a prominent title company in northern Virginia for the past five years. In those five years he has settled close to a thousand transactions and has extensive experience in resolving complicate title issues such as encumbrances and unreleased deeds of trust.